We're planning a Green R trip in April. We're using Tex's Riverways for shuttle. H2O; I've seen info on using Alum to settle silty water. Looks good to me. Any thoughts on this? Crapping: Tex's rents toilets so we're leaning that way. I know other folks use other systems. thoughts? Hiking suggestions: We've got a couple of guide books. Belknap's Canyonlands and Rampton's Labyrinth Canyon river guide. River guide books but no real hiking info. You can fashion a system using a 7 gal bucket( for height) and toilet seat (from REI about $15) and Wag Bags.. You will need a second bucket with gamma seal lid to contain used wag bags. If your trip is long the Tex's toilets tend to get full and even with the chemicals sort of noxious.. If you are doing a week they are fine. The fun part is that after loaded on the jet boat you never see the darn steel stinky again. Each unit is sealed with screw locks so leakage is never an issue. Finding campsites. In the late summer sandbars provide ample but sometimes soggy camping on the river. In the spring all the campsites are up on the river benches. Most of the time you access these from the slot canyons..not the river ( Jasper is one exception). Kelseys has the campsites and we found the locations acccurate. Horsethief, Horseshoe were a couple of our favorites but Anderson Bottom has beautiful cottonwoods and hiking for miles. Also don't miss camping at Hey Joe's..some more miles of hiking amidst old mining stuff. Trickiest part may be finding a suitable spot between Confluence and Spanish Bottom. We wanted one with firm mud so that the jetboat could load up easily and out of the current. We found same just below the warning signs at the rapids ( not Cataract) but rather a small rapid. Get your gear well out of the river..100 feet is not too much. Same for the boat. Not all the jet boat operators are as professional as Tex's and some aim to wash your gear into the water. depending on how many people for how many days, you can probably bring along most of your water - consider it a luxury item - those collapsible 5 gallon jugs work well. No, no, leaning won't do. You gotta sit on them(Sorry, couldn't resist). Sounds like a great trip. We did the San Juan with a guide(Wilds of Maine) and it was quite 'out of this world'. We paddled the Green in late April of 2014 and used Tex's for our shuttling. They were EXTREMELY good ... exceptional, friendly, professional ... wait till you see how they load the jet boat and all the boats and gear at the end of the trip! . We put-in at Crystal Geyser and Took-out just below the Colorado confluence. Don't bother dealing with your own water prep, you can fill as many jugs as you need to at their Outfitter location and Tex's will resupply you with fresh water at Mineral Bottom a few days down river. Don't bother with the alum thing ... it works for sure, but in this case it's a waste of your time. Our group used single and double groovers ... I would HIGHLY recommend PERSONAL GROOVERS FOR EVERYONE in your group ... DO NOT SHARE !!! We have used groovers on backcountry trips before and ... let me tell you! either the design of these were ineffective or the chemicals used to deoderize just didn't work ... simply horrible. We did a 2 week trip on the Tatshenshini in Yukon/BC/Alaska and our groovers were as fresh on day 1 as they were on Day 14?? 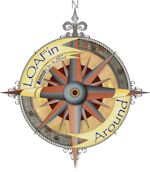 We write a travel blog and it's linked on my signature block ... called LOAFin-Around. Go to the Horizontal Menu Bar / KANOE TRIPPING / Paddling and scroll down ... a little bit further until you locate an entry titled GREEN / COLORADO River. Some general trip info and at the end a photo gallery. It was a good trip .... camping can be a little tricky to find ... your best bet is to look for campsites anywhere that creeks or slot canyons confluence with the Green and be prepared for lots of MUD! Kanoe's post reminded me that you should bring shoulder season clothing.. Including a hat mittens and insulating layers. We were out during Mothers Day weekend and had foul cold weather. It snowed. The desert at that time of the year is wonderful with flowers but it can be both hot and freezing..
And yes mud clothing.. Some of the banks are very steep and slippery. Bring your throw bag.. I fell in and had to swim in 40 degree water upstream to find a ledge to stand on and get back in the boat. littleredcanoe's advice is good ... pay attention to your clothing outfit. We had hand water basins freeze over with a skin of ice in early morning and reached temperatures of nearly 100F in the canyons during the day. Huge temperature ranges are possibly in a 24 hour period. Wind caused us the most paddling difficulty, waves can get whipped up to CI+ and paddling some of the corners are a battle. If you have a windy day when you hit the confluence with the Colorado expect big whitecaps and possible strong crosswinds. The pick up locations for the jet boat are only a few kms downstream on RR so it's not a long paddling stretch to the last overnight camp. Enjoy, it a nice river! Pickup is river left too.. Thats where we have been. Spanish Bottom of course has the Doll House for great hiking though and that is river right. They have done some tamarisk clearing at the Confluence and that is another potential pick up spot. Tamarisks are the bane of campers access to the benches. Wow! thanks for all the advice! OK Wooty no leaning just in the eddies! I'm sure Tex's will have figured out pick up points for us by the time we get there. One our our canoes is leaving us at Mineral Bottom so we should be able to resupply H2O and ice when their shuttle comes. Tex's does not figure pick up points. You are told to camp in the 5km stretch between the Confluence and Spanish and to pick a spot that has good land access and has a drop off. The jet boat draws three feet. Hugh, if you don’t mind plowing through 20,000 words there are two Green River trip reports linked below. Specific stuff. Texs is very professional. If you are in Green River the day before your shuttle it helps to stop in around mid-day when they are not busy organizing the day’s shuttle and take care of your paperwork ahead of time. Get the Kelsey book for canyon hiking info, it also includes the locations of various places to camp alongside the river. Alum works very well. You may not need it for drinking water, but it is nice to be able to wash up with something less muddy. Texs toilets are ok. I prefer using the two bucket system and wag bags Kim mentioned. Something like that is easier to transport and store in the boat, and less stinky as well. Moab is pricey. A Motel 6 or Super 8 is $150. The town of Green River 30 miles west on I-70 has the same motel rooms for $50. There are also a half dozen NPS or BLM campgrounds along Rte 128 between I-70 and Moab, and that route, following the Colorado part of the way, makes for a much more scenic drive into Moab than Rte 191. One small primitive area (5 sites, $5 a night) you might look at for as overnight campsite is Onion Creek camp, sort of unmarked on Rte 128 (other’s are right alongside the road and highly visible). Where the well-marked and signposted dirt road heads off east towards Fisher Towers (popular hiking and climbing spot) there is another dirt road on the opposite side of Rte 128 heading west to Onion Creek camp. Down that road for maybe ½ mile and where it forks bear left (right goes to private land and a ranch) and you’ll be at the Onion Creek campsites in a couple hundred yards. Onion Creek camp is used mostly by rafters as a put in/take out but the campsites are open to any and all. And while you are down in that neck of the woods I wouldn’t miss the drive up the Moke Dugway and a visit to Muley Point. Well worth a day’s detour for a mind blowing drive and spectacular vista. It's always hard to envision what a system looks like. capacity, how many poople days for a bucket? anyone have a rule of thumb? Disposal: at the end of a trip how does one correctly dispose of the wag bags? Just throw them in the garbage? The upside of using the outfitters groover is once you load it on their jetboat you don't have to handle it any more. You can get a lot of used wag bags in a spare five gallon bucket. The outifitters groover actually has less capacity. Just dispose of in the dumpster at Tex's but of course ask first. On group trips I’ve been using a three bucket system. One tall bucket is the throne that the toilet seat fits on. The Wag bag liner with poo powder goes in that bucket. A second gasket sealed bucket that nestles inside the throne holds the used Wag bags in transport. On group trips the third small bucket starts off holding the supply of unused Wag bags, toilet paper, hand sanitizer and bleach powder*. If/when the first used wag bag bucket gets full I begin filling the smaller 2nd bucket and transfer the remaining unused wag bags and TP and etc to a dry bag for the last of the trip. On a 5 person 11 day trip on the Green a couple of years ago we used 11 wag bags and ended up with a 5 gallon and a 2.5 gallon used wag bag buckets, both full. On a 2 person 22 day trip we ended up the same end result, largely because we were travelling on separate permits and used more than one wag bag per day when camped apart. Five or six individual deposits in a Wag bag is about as much as will easily fit inside the outer zip lock container bag. I always ask Texs and they tell me just to put the used wag bags in their dumpster. WalMart carries similar bags without the toilet paper and sanitizer, $10 for six bags. Both wag bags have a large plastic liner for the throne bucket with “poo powder” inside and a heavy duty double zip lock closure to hold the used liner bag once that day’s toilet is packed up. One wag bag per day was sufficient for 5 or 6 people to use, so unless you are travelling with a party of 10 plan on using one wag bag a day (maybe an extra or two just in case). *One thing that I have found helpful to keep a little jar of bleach powder in the toiletries kit next to the throne and have each person sprinkle bleach power atop their deposit. That seems to help keep the odor at bay. One possible space saving variation – the permit regulations allow for used wag bags to be stored in a sealed dry bag plainly marked “TOILET”. If you have a 20L dry bag you will never use again you can carry the used wag bags in that and just toss the whole thing in Texs dumpster, so you would need only the throne bucket and comfy seat. I’ve done that as well, and the sacrificial 20L dry bag fits inside the empty throne bucket during transport as additional space savings. Kim is right on about toting a full and heavy diamond plate Texs toilet up to some ledge site, a bucket with a bail handle is much lighter and easier. Also, about Texs pick up. One Green River trips we have camped a couple of miles above the confluence, usually at Water/Shot Canyon, packed up in the morning and been on the Colorado waiting for pick up (with the canoes cleaned and gear ready) well before Texs arrived. The ledge site just above Water/Shot is very nice and has room for a half dozen tents. There is another ledge site about a mile downstream on river right as well. If you end up camping for the last night on the Colorado there is a huge landing rock on river right about a mile past the confluence, Scorpion Rock, with has some nice cotton woody tent sites (and old cowboy glyphs as well). Or Spanish Bottom, or anywhere else that offers Texs their needed 3’ (or 5’, depending) of water depth a canoe length from shore. The closer to the confluence you wait for pick up the later you will be fetched by the jet boat; the jet boat goes all the way down first and picks up en route back, so if you are bringing your own boats they will be stacked on top and first off the trailer when you get back to Moab.